One day in junior high we were called down to the auditorium where a guy was having students try out different-sized mouthpieces for musical instruments. After each student, he would dip the mouthpiece in alcohol and hand it to the next person to try. I was told that I should play the trombone, and that evening I dutifully went home and told my parents that they needed to buy me a trombone because I was going to be in the band. The Midview Junior High Marching Band to be exact. 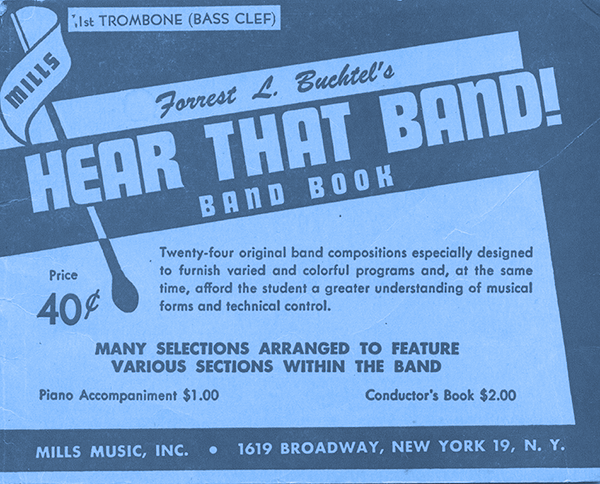 It was there that I learned that the gentleman who recruited me was Harry F. Phingston, the band director. He, along with my playing in the band, the nights spent marching in the rain or freezing cold, and the nerve wracking band competitions, would become the template for all that was to follow in the Funkyverse. So my musical background was in place and there it lay dormant, quietly waiting until . . .